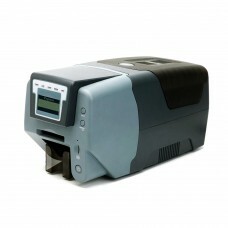 Pegasus PCP series ID card Printer is Ideal for your flexible card printing. 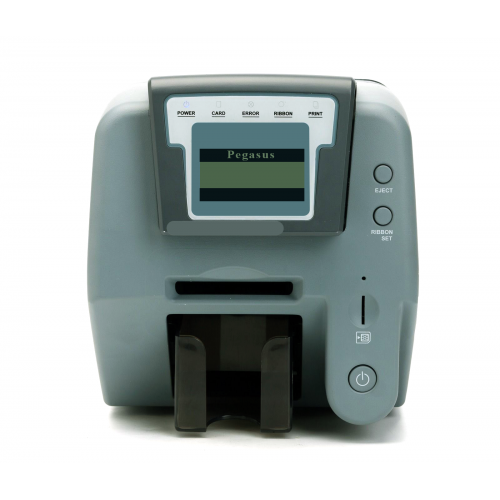 PCP-Series is a fast and high performance card printer that offers various features like dual side printing, magnetic stripe, contact and contact less smart card encoding. PCP-Series saves time with fast printing speed plus a convenient, a 100 card feeder output hopper and a hand-feed slot conveniently placed at the front of the printer. The USB interface, optional Ethernet and plug & play driver certified by Microsoft ensure that PCP-Series printer can be easily installed on any Microsoft Windows machine. Pegasus Card Designer card printing application being provided together with a print driver enables you to create your own ID cards and to connect your printing database easily without having to installany additional software. Pegasus Cleaning Kit For ID card Printer..